If you work with or around chemicals, and nowadays who doesn't, you need to know how to work safely around those chemicals. That includes knowing that you have a right to know about the chemicals you are using as well as those being used around you, how to effectively use your rights, reading and understanding Safety Data Sheets (SDS), understanding labeling requirements under the GHS, what the hazards are that are associated with them and how to protect yourself and coworkers from those hazards. 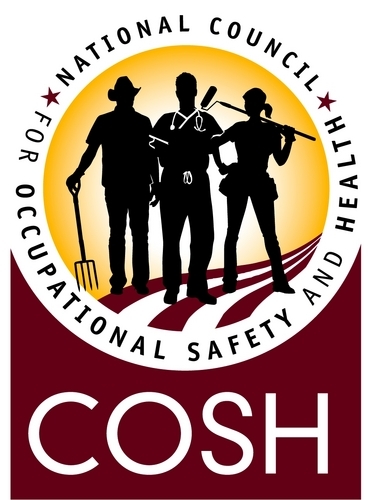 WisCOSH just finished an OSHA funded year of Hazard Communication Standard trainings. Although the grant has ended you can still receive this valuable training. WisCOSH also offers OSHA HazWOPER training. HazWOPER takes things to the next level as you learn more about the chemical hazards, reading and understanding SDS to identify appropriate PPE, recognizing and knowing the meaning of the types of placcards used to denote hazardous materials, how chemicals should be stored and disposed of safely, and what to do in case of a release or spill which includes actual hands on simulated events. Participants that complete the full 32 hour course recieve certification. We are currently able to offer the class free of charge. If you are interested in taking this course please contact us. And now WisCOSH is glad to announce we can also provide D.O.T. HazMat training. If you ship, receive or transport hazardous materials it is imperative that you know, understand and follow HazMat regulations. The Dept. of Transportation's HazMat is targeted at shipping/receiving clerks (who can be fined by the D.O.T. if they don't fill out the paperwork correctly), transportation workers, first responders and emergency services workers. The course includes modules that will be used by workers covered under CFR 49 - Placards and labels; chemical properties; resources (D.O.T. ERG, NIOSH Pocket Guide to Chemical Hazards, 49 CFR, HazMat Toolbox) site security; toxic effects. We are currently able to offer the class free of charge. If you are interested in taking this course please contact us.